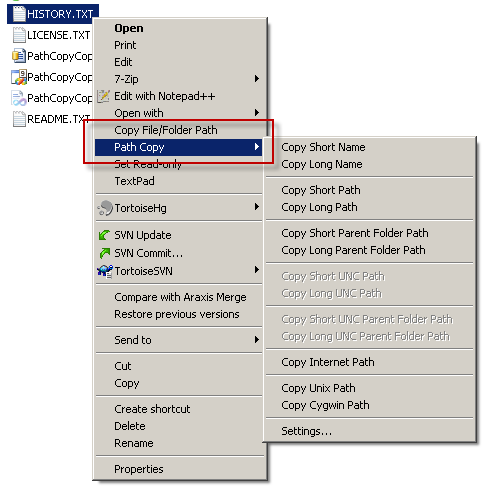 Path Copy Copy is an add-on for Windows Explorer that adds contextual menu items on all files and folders allowing the user to copy the path(s) in various formats. Idea copied from “Path Copy”. Path Copy Copy works on Windows XP or later. Grab the latest release here! Path Copy Copy is free software. See the project on GitHub for more information, to file issues, etc. Also, if you use and like Path Copy, please consider donating to fund future development and customer support.